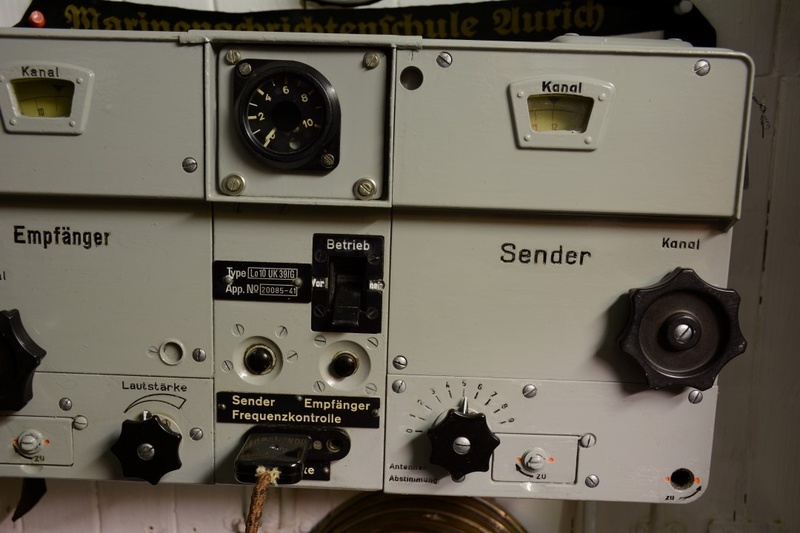 The round black dial at the top center of the radio, midway between the two "Kanal" windows, is the Schwingungsanzeiger (oscillation detector). It measured the approximate value of the antenna current. The dial is numbered from 0-10. The measurement of the needle on the on the indicator dial was often not precisely correct because of channel differences. Please see the next photograph for a close-up of the oscillation detector.